One of the latest uploads is a 40+ minute horror film with Russian vos called Asylum 3. You can go to youtube and set the subtitles to english and you should be able to get the basic gist of the plot (though its far from perfect). Viewing difficulties aside, this is really good filmmaking. Great images, scary moments (check the final ending jumpscare) and adult themes. You can see wizardchel's other flicks (asylum1,2 and the very fun spirtitism) on TMU. Also of note, you can follow the trail in the links on youtube to TMCreators.ru which is apparently a russian "The Movies" collective. You might remember Nikro from some excellent flicks on TMU. Kinda cool to see another group of filmmakers elsewhere in the world continuing the tradition in grand fashion. Edited by thebiz, 17 March 2015 - 01:11 PM. Amazing visuals on display in Andre Peisker's new Alien fan fiction. Fine moviemaking magic! Excellent surreal TM Video from Russian user Genesis! Very good work. Looking for twitter material and found this oldie but funnie from WX_Ivan to celebrate "No Socks Day". I really like the surreal sock party vibe (particularly once they start doing the wave). Clever and fun. Long ago I noticed David Kelso posting movies on Vimeo. His movies all had a similar theme in that they all involved war veterans in them. He had obvious skills with Iclone and chose to bring to life a series of veterans music broadcasts. Then one day he purchased some of my 3D assets and left a message about what he intended to do with them. That message included a link to a story from Harlan Ellison called "Shattered like a glass Goblin". I took a look at the stoiry and was very much intrigued by its insanity and its horror. He has recently released all three parts of his story and I got to say its very much worth a look. 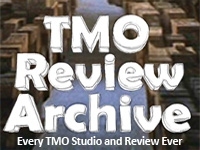 I have read recent threads on the forum talking about machinima and indeed TMU's distinct ability to tell a story. This here is a unique story. A terrible, horrible, wonderful, horrific story. But above all this a unique story that you wont find outside of our community. Its one to be proud of. To clutch to your chest and say its ours! It needs an audience. I often complain about the falloff of great MovieStorm movies but lo and behold, heres a really good one that came out of nowhere and smacked me in the face. Check out Ralvaz's Nocturne! Great to see Nukester drop a little live action music video of his trip to the Big Apple. Love how its all at night in HD. 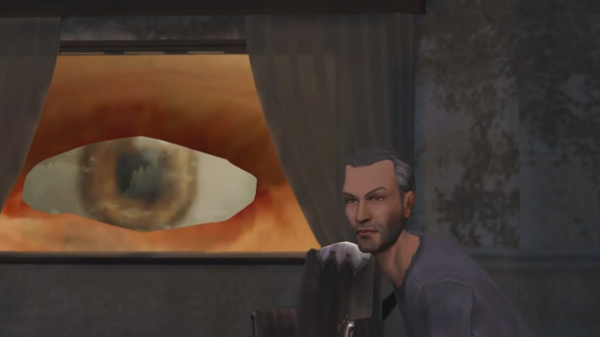 Wonder if anyone else has watched this pretty great Silent Hill fan film created in GTA5? Its pretty excellent. This is some old school 80s action B-Movie fun! Lots of TM footage mixed with other things. Good times. Heres a GTA5 horror by spyvsspy that came out last year. I missed it then but its worth a look! Nice horror edits and creepy mimes!